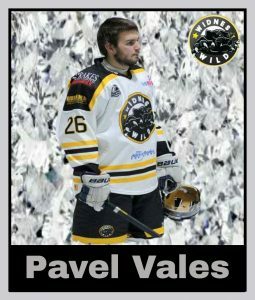 The RTL Widnes Wild are delighted to announce the return of Pavel Vales for his fourth season in Wild colours. Pavel has played over 70 games for the Wild and has been a crucial player for the team as well as being popular off the ice with both fans and players alike. Pavel will wear the number 26 shirt for the Wild, and his shirts are available to own ‘n’ loan here.